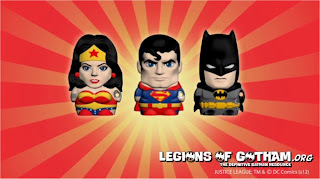 Home » » Mimoco To Launch Micro-Justice League Flash Drives! 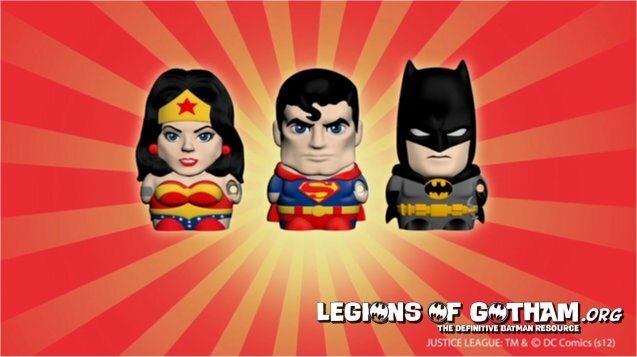 Mimoco To Launch Micro-Justice League Flash Drives! Mimoco (www.mimoco.com), renowned makers of the MIMOBOT® line of character-based designer USB flash drives, has unveiled a new product line of fashionable personal data storage devices called MIMOMICRO™. The MIMOMICRO™ product line can best be described as a smaller, more versatile evolution of the MIMOBOT® collection. Not only can MIMOMICRO™ be used as a USB flash drive with interchangeable microSD memory cards, but it also functions as a microSD card reader to transport data between mobile phones, tablets, e-readers, digital cameras, and mp3 players to one's computer. MIMOMICRO™ boasts three dimensional sculpted characters and the first in a series of vehicles. MIMOMICRO's cap-free design with flip-out USB plug also includes a built-in keychain and LED indicator light. Measuring a mere 1.6" H x 1.0" W in its compact form factor, MIMOMICRO™ lives up to its name. Launching in March, the first two MIMOMICRO™ collections include a crop of designs from Star Wars, including Darth Vader, Yoda, C-3PO, Chewbacca, and the Millennium Falcon along with characters from DC Comics including Batman, Superman, and Wonder Woman. MIMOMICRO™ will be available for purchase in March 2012 at select retailers worldwide and at Mimoco.com.